With so many different types of water out there, from tap water to bottled water and distilled water, it is easy to see why consumers can easily be confused. It is also not surprising that consumers struggle with the environmental concerns of bottled water versus the potentially hazardous chemicals in tap water. The best water on the planet is natural water from mountain streams. But since most of us live in urban areas, we depend on commercial water distribution systems that often contain chlorine, disinfection by-products, fluoride and other toxins. The best way we can protect ourselves and our family from unsafe drinking water is by getting one of the local drinking water suppliers to install a water filter system in our homes. Pacific Springs offers a wide range of filtration systems to get rid of harmful contaminants effectively from your tap water. 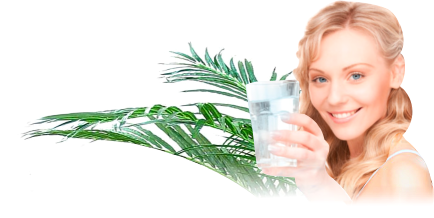 Rent highest quality water purifiers to drink fresh and clean water at a reasonable price. Pacific Springs’ mains connected filters are sourced from America. The filters are protected by Silver Zeolite, which kills the bacteria that build up in filters. Consumers drink purer water because the company’s filters have up to ten times more contact with water. Visit https://pacificsprings.com.au/ for more information on water filtration systems. The unit is installed to your water mains, so there is no need to store and change spring water. The drain-free True Blue Filters filter up to ten times more than most competing filters. Mains connected filtration coolers supply cold or hot and cold water. The filtration system is of high quality, reliable and has a 12-litre cooling reservoir. The ideal filtration system for sites that do not have access to water mains to connect the unit can get a Self-Fill Filtration Water Cooler. The gravity filters minimise chemicals, tastes, odours and water-borne sediments from tap water with Ceramics and Silver Impregnated Granular Activated Carbon. Normally, the replaceable filter cartridge will last about six months. With about eight litres per hour of cooling capacity, Remote/Under-Sink Chiller is ideal for the home and small offices. The unit features a 1.9-litre stainless steel storage-chilling tank, lead and copper-free waterways, stainless steel internal waterways, a galvalume corrosion resistant cabinet, and dual fan-assisted static condensers. The RM Series Bubbler is trendy enough to be installed in schools, gyms and other public places, but still durable to withstand the harsh conditions of manufacturing plants as well as mining and construction sites. The unit features a sturdy, rota-moulded, pigmented polyethylene cabinet with lift-out chassis. Instaboil covers a three-year rental agreement. The unit is installed to the water mains and is automatically serviced and changed with a new filter every 12 months. Instaboil offers safe hot drinking water for your coffee or tea. This entry was posted in Drinking Water, Water Filters & Purifiers and tagged drinking water, safe drinking water, water purifiers by Teala. Bookmark the permalink.